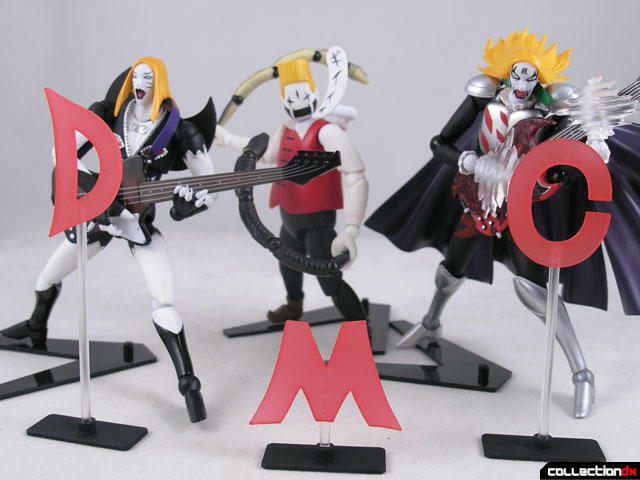 I have to admit that these Revoltech figures are my first exposure to Detroit Metal City. 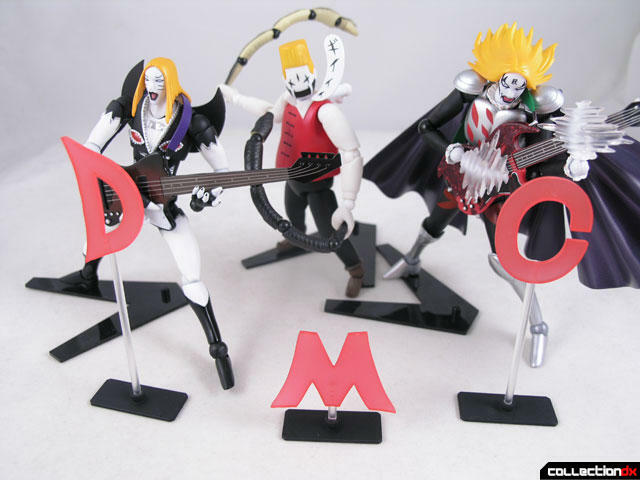 Detroit Metal City (or DMC for short) is a manga about a young man who leaves the farm for the big city to be a musician. He's kind of a nerd, who loves Swedish pop music, but he somehow becomes the lead singer of the death metal band Detroit Metal City. Thus, the meek Negishi Soichi becomes Johannes Krauser II. The makeup of the band members are an obvious homage to the band KISS, and even the title is reminiscent of "Detroit Rock City", a KISS song. 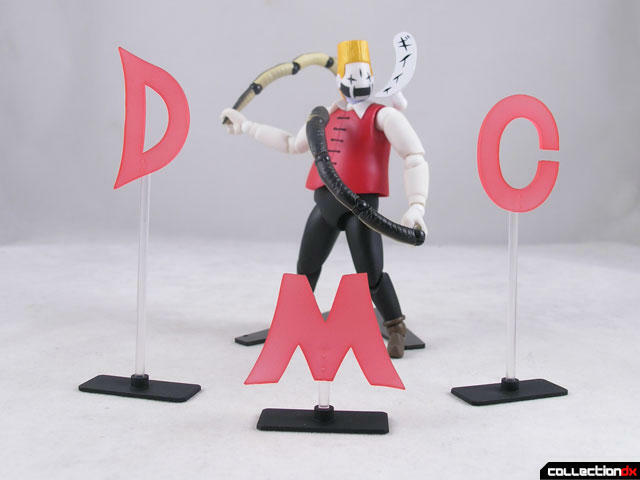 With that understanding of DMC, these figures make a little more sense. Out of context, they are pretty weird. Revoltech Camus is available at HobbyLink Japan. I love this figure because he represents fat guys everywhere. You don't see enough fat guy action figures. And you thought breathing fire was cool? How about drumming with snakes. 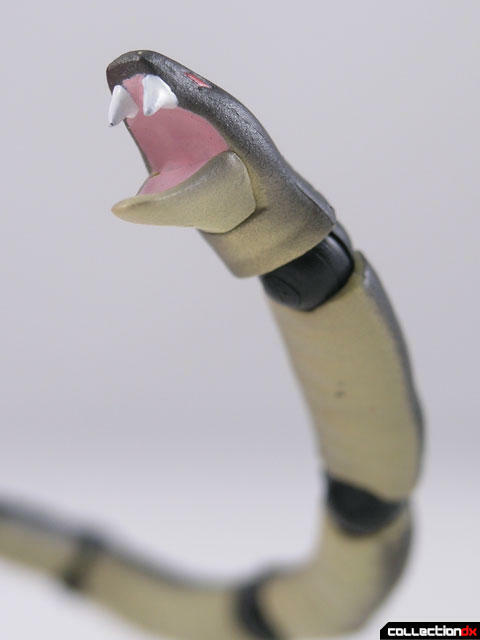 Camus comes with two Revoltech snakes, fully jointed with the smaller Revoltech joints. He even comes with a larger set of hands that can properly hold them by the tail as he thrashes out. 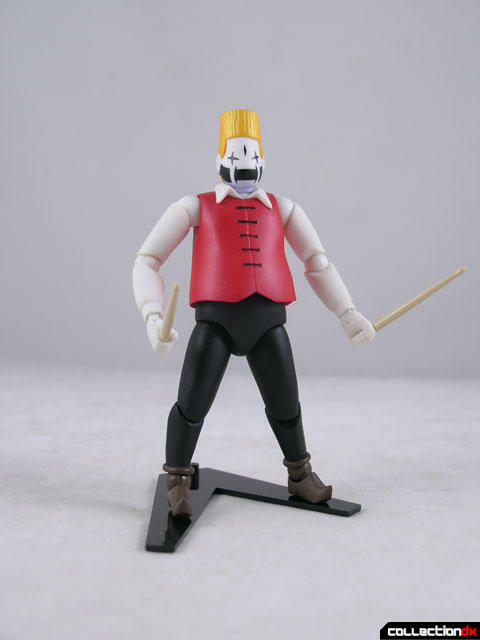 Sure, he comes with smaller hands for drumsticks, but who cares about that - HE PLAYS DRUMS WITH SNAKES. 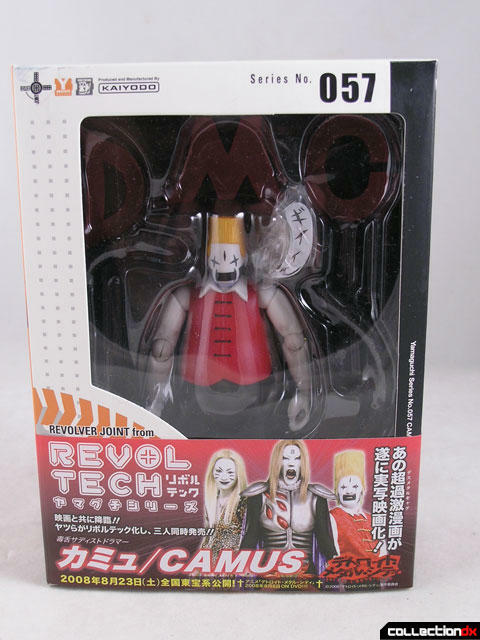 And he also comes with a small speech balloon that attaches to his back that says "Gi....."
What's even cooler, is that Camus comes with stage props so you can put the whole band together. But where are Camus' drums? You may not know about DMC now, but with all the KISS references, it will no doubt be released in the US. You can be ahead of the cool kids by getting your Camus at HobbyLink Japan. Poor Camus, a drummer without a drum... well... isn't a drummer in my book. 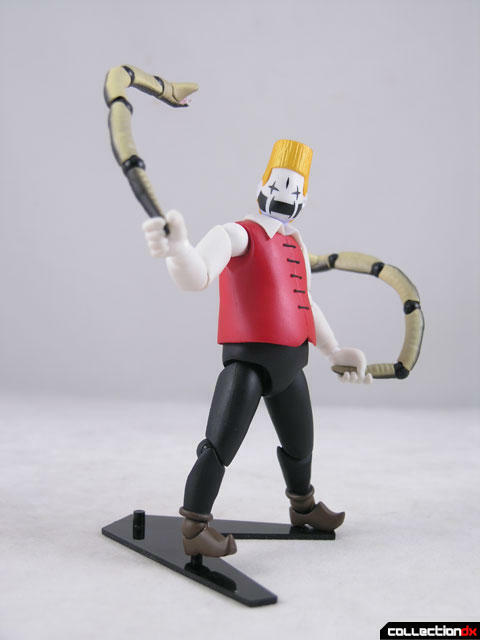 Snakes is cool, but without the drum he just feel like a fat guy waving snakes. Do any of these guys come with a little Revoltech amp with knobs that go to Eleven? If not..well, they should. The fat action figure top ten list appears. This new guy didn't make the cut. 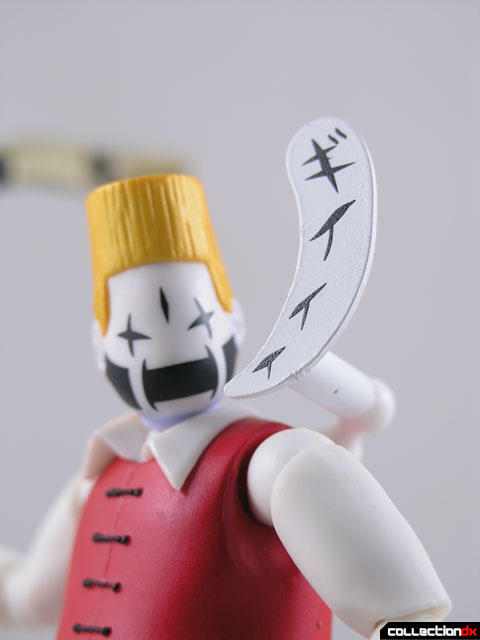 No Tetsujin 28 either, and in what I consider to be a shocking ommission, no Ram Man! I'm guessing 80s wrestling figures must have been exempt, otherwise the list would have been overrun by them.